Stemming from the controversy generated by its choice of Port Harcourt, as venue for its national convention, the Peoples Democratic Party, PDP, has said it opted for the Rivers State capital, ahead of other places, because it met all the requirements to host over 4,000 delegates. 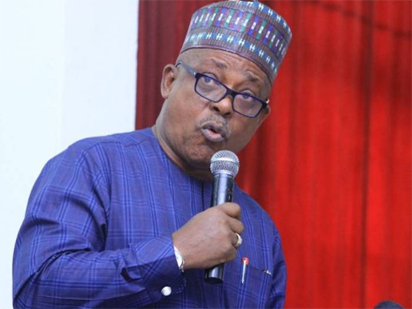 The committee, headed by Ambassador Ibrahim Kazaure, came out to make the clarification in the light of protests by some of PDP’s presidential aspirants, who are insisting that the Port Harcourt venue was chosen to confer undue advantage on one of the contestants for the presidential ticket of the party.. The party’s Board of Trustees, BoT, had, on Thursday, resolved to change the venue of the October 5 and 6 presidential primary to Abuja, in what observers saw as a response to the protests. The decision is, however, subject to approval by the National Working Committee, NWC, of the party. Explaining why the Port Harcourt venue should stand, the party made it clear that the Kazaure Committee went round to look for a convenient venue, taking into account hotels, flights and other logistics arrangements. For instance, while the stadium in Uyo, the Akwa Ibom State capital, was discovered to have been prestigious enough to host the event, the discount of accommodation robbed the state of the hosting rights. “If all hotels were to be empty, they will only be able to cater for 2,000 persons. And the delegates are over 4,000. The committee went to Enugu and discovered that a likely venue there has no fencing, which makes it vulnerable since the exercise will run into the night”, the party said. Apart from the logistics advantages that Port Harcourt provides, the party further stated that Rivers, being a state under its control, is also appropriate “in the event the ruling APC tries to frustrate the presidential primary”. Last week, Rivers State Governor Nyesom Wike had justified the selection of his state as congress venue, stating that it has all the hotels and sundry facilities and had enjoyed a flawless hosting of such event in the past. Curiously, all the presidential aspirants were part of the decision that Port Harcourt should host the convention.